Here’s a fact that I believe, although some of us maybe would like to disagree. I believe that it’s natural that if one is an artist for a very long time, their sound evolves and progresses also. Think Jeremy Camp, Hawk Nelson, Kutless, Sanctus Real and The Afters (and somewhat Seventh Day Slumber)- they all sound quite different to their earlier body of work, and though I would say that some of that is intentionally moving towards a different genre, parts of their genre expansion has been primarily due to bands becoming older, wiser, willing to take risks and try new things, which may or may not work. Enter in Skillet, the hard rock/metal outfit who’s been in the business for a long, long time, but has also, like the aforementioned artists, slowly adopted a more ‘softer’ approach, a CCM/pop/worship approach to music of late. While there were rockers in Unleashed, more prominent were the softer radio friendly tunes like “Stars” and “Lions”. As a result, fans were literally begging for Skillet to return to the harder material, and very soon. Well for true Panhead fans (of which I am not an avid fan just a casual one! ), the time has arrived. No not for a hard Skillet album, but for an entire new project from a new band altogether. John Cooper, lead singer of Skillet, recently formed Fight The Fury, and their debut EP Still Breathing release a couple of weeks ago. A side project- in the sense that Skillet aren’t breaking up, Still Breathing from Fight The Fury is as intense as a hard Skillet album, and one that die-hard fans (unlike myself, but maybe in the future…) can appreciate. Let me be the first to say that me reviewing Fight The Fury’s EP on the surface doesn’t make sense- I don’t listen to a lot of metal/hard rock, purely for the reason that such genres give me a headache, as in a literal headache. 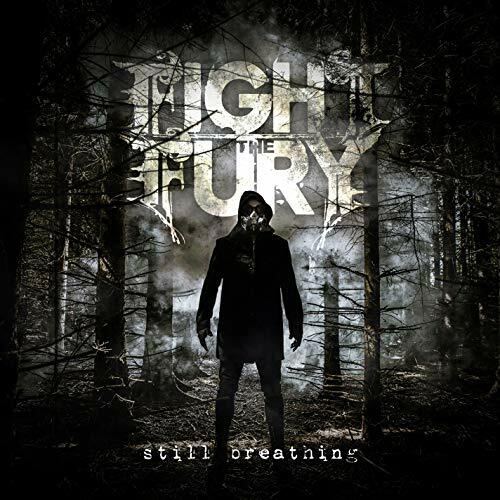 But there’s something about Fight The Fury’s debut EP that is compelling, inspiring and meaningful- it’s not just a carbon copy of Skillet, as it has its own sound. And despite the intense electric guitar shreds and intense screams from John, the songs are actually quite inspiring, honest, emotional and impacting. “My Demons”, the first single, and harkens back to Skillet’s Collide days, and even though the lyrics as a tad too uncomfortable, as John relays to us that everyday he’s fighting with demons in his mind. There’s no answer in this song, yet for a track that was written for abuse victims, we are met with one of the most necessary songs of 2018. “Dominate Me” is next and for me is the weakest track on the album- the track feels out of place considering the subject matter, as we do not know if John is singing to God (highly unlikely!) or to his wife (does this song sound a tad too sexual?) but either way, it’s just plain uncomfortable. I’m still scratching my head as to what the track means (maybe John will let us know later on…), but thankfully the remainder three melodies make up for this mishap. “Still Burning” relays to us a song possibly sung to Jesus, as John emphatically declares that he is burning for the persona, which could mean that we as Christians should be on fire for Jesus every single day of our lives, simply because of what He has done for us; while the vulnerable “I Cannot” sounds like “Awake And Alive”, as John passionately imparts to us the realisation that ‘…I cannot live, I cannot breathe, I cannot take this agony, I cannot hate, I cannot love, something’s wrong with me, I cannot feel, I cannot deal, I cannot believe this is real, wanna change what I am not, but I cannot…’– as we are confronted with our own inability to feel like a real human, as we analyse the trials and tribulations weighing us down and how can we overcome them. The EP comes to a close with the “Monster” like “Lose Hold Of It All” as John sings about how the persona is feeling like he’s lost it all, and is singing about a moment in time before he’s completely lost everything. It’s a depressing song, however a track that we can all dive into and see whether it applies to our lives or not- and if it does, how do we change our mindset into thinking positively? As far as debut EP’s go, this release is somewhat of a mixed bag. Die-hard Panheads will enjoy this EP (aside from “Dominate Me”) while fans of current Skillet should probably give this a miss. Lyrically and musically, these songs are good, and no doubt John and his crew were sincere in their singing, as well as touching upon issues that Skillet probably haven’t touched upon in a while. It remains to be seen as to whether Fight The Fury is a one-off or whether there’s a second project in the works. Either way, call me quietly intrigued, as I also see how or whether this release impacts the music of Skillet moving forward as well. Well done John, for recording something you are passionate about. Keep up the good work and I can’t wait for what is next.